OK, we love Google. Google search, Google reader, Google Docs, but where’s our Google Drive – we need file storage in the Cloud to complete the package? While we were waiting, a few weeks back we saw the DropBox video (check it out after the jump) and were blown away. Well today we final got an invite to the beta and after a morning playing it appears to be just as great in real life. So here’s our 5 minute summary of what it can do. OS Integration – There are other storage solutions on the web, but we want the best experience possible, we want seamless integration with our OS whether Windows or Mac and we want our cloud storage to appear like it’s just another network drive on our system. Well you know what, that’s exactly how DropBox works! On the Mac and in Windows you get a little DB icon in the Macs menubar and the Windows system tray. Form there on your use the system just like it’s on your local machine or LAN. It appears in “Places” on the Mac and under “My Documents” on the PC. Just drag and drop files as you would normally. Share Folders – You can share private folder among your friends and colleagues. You also have a Public folder with a really nice feature. Just right click on any file in that folder and from the DB menu choose “copy public link”. You can then paste that into an email/IM session or whatever to share the file with anyone. Instant Sync – A file dragged into your DB folder from say your Mac, will notify your other machines that files have been added or updated. The screen shot below is from XP and on your Mac you’ll get a Growl notification. So, now we’re wondering when DropBox will be available to all, how much will it cost and will we be able to survive without it ever again?! Great job DropBox! 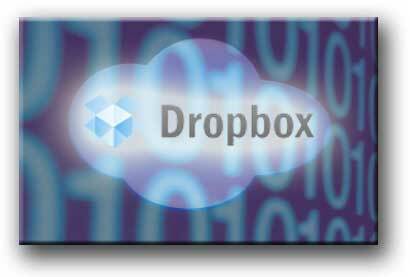 Be the first to comment on "DropBox Storage in the Cloud Rocks Our World"